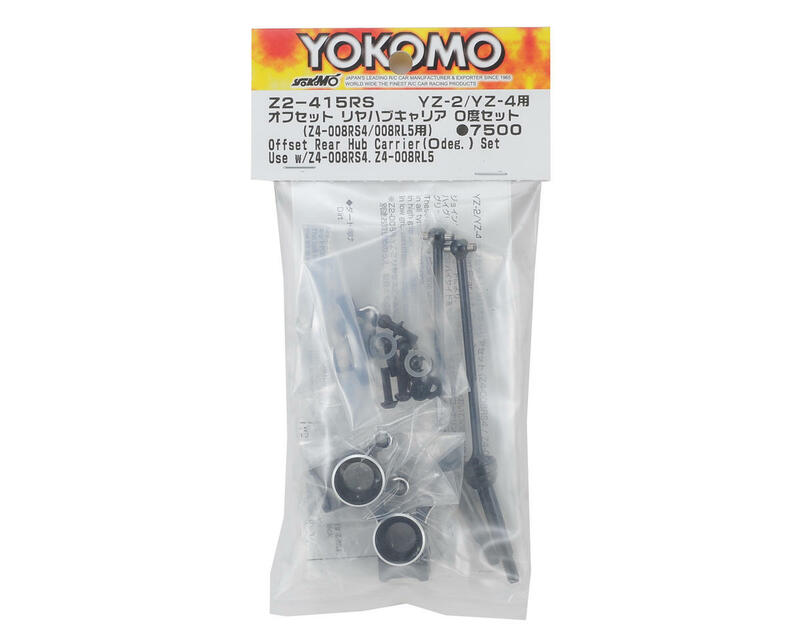 This is an optional Yokomo 0° Aluminum Offset Rear Hub Carrier Set. This rear axle is now a separate piece than the upper arm mount allowing you to finely adjust the mounting position of the upper arm. 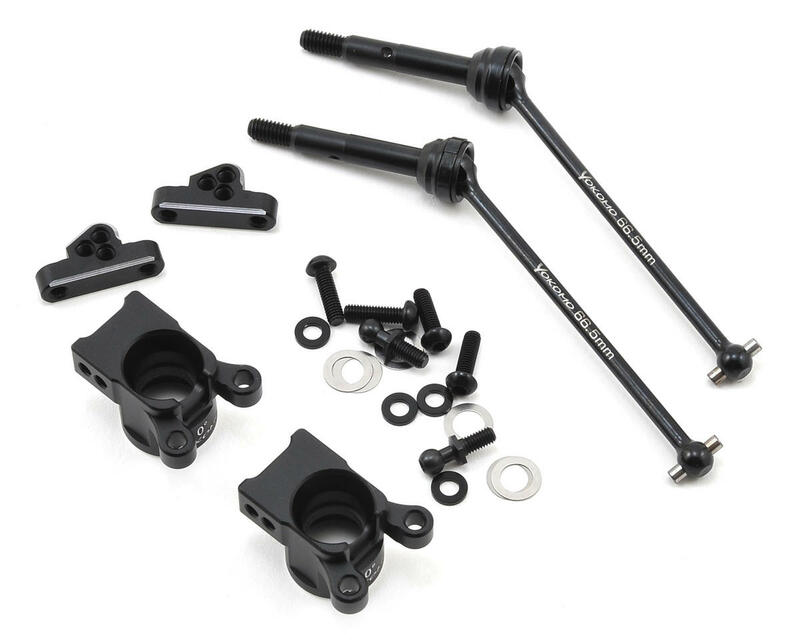 In addition, the movement of the suspension becomes smooth by a short-only universal of the axle, providing improved sense of stability in all track conditions. To reduce the high side in high grip surface, it allows for more high-speed cornering. In low-grip surfaces, to improve control at the time of power-on, you should be able to obtain stable cornering characteristics. This offset rear hub carrier, link mount, and universal shafts will fit in YOKZ4-008RS4 / YOKZ4-008RL5 suspension arms.